Pharmacy technicians work pharmacy counters, attending to customers’ needs and dispensing medication. They work in various health care settings, from hospitals to retail locations, executing numerous tasks that don’t need the professional judgment of a pharmacist. Their primary responsibilities include managing inventory, labeling, dispensing and formulating medications, billing, and data entry. Pharmacy techs must communicate effectively with customers and other medical professionals. They should be knowledgeable about the medications they dispense in order to respond to patient questions. Virginia’s pharmacy technician training programs, managed by the Board of Pharmacy, ensures prospective technicians obtain the knowledge and techniques required to support licensed pharmacists. A Board-developed state exam measures technicians’ knowledge of the basic responsibilities as required by Virginia Law. Licensed pharmacies must, by law, hire board-registered pharmacy technicians only. If you’re enrolled in an approved pharmacy technician training program, you can work as a technician behind the counter for a period of nine months. However, you must complete the program and fulfill all other requirements for registration during the 9-month grace period. Your employer, for inspection purposes, must maintain records on site indicating that you’re enrolled in an approved program. 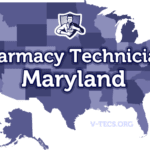 While Virginia’s Board of Pharmacy accepts PTCB certification as a prerequisite for registration (in lieu of state training), applying to take the exam does not grant permission to work as a pharmacy technician. If you want to work while waiting to take the PTCB, you must enroll in a state-approved training program. After graduating from the program, you must pass a Board of Pharmacy approved examination before submitting your online application for registration. There are currently only two Board approved exams: the Virginia Pharmacy Technician Exam or the ExCPT exam. Applicants must be at least 18 years old to register as a pharmacy technician in Virginia. Virginia’s Board of Pharmacy does not prohibit non-high school graduates from registering as pharmacy technicians. However, many Board approved training providers require a high school diploma or GED as a prerequisite to enrollment. Also, if you were to take the national certification route for registering with the Board, you’ll need to have a high school diploma to take the PTCB or ExCPT exam. The Board of Pharmacy requires all candidates seeking registration to complete a criminal background check. The Board may refuse to grant registration based on a review of your criminal history. 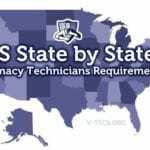 Pending felony charges or crimes involving moral turpitude, and violations of state, federal or local drug laws can affect your ability to register as a pharmacy technician. If you have a history or substance abuse or drug dependency, the Board will need confirmation from your doctor that you’re capable of performing your duties as a pharmacy technician. State approved training programs provide classroom instruction along with laboratory and clinical experience to prepare graduates for employment as pharmacy technicians at hospitals, retail outlets, health care agencies, and other health care settings. The training covers all aspects of federal and state laws as they pertain to the pharmaceuticals. Other essential topics include pharmacology (drugs and their interactions in the human body), side effects, and the use and abuse of drugs. Pharmaceutical calculations helps students learn the basics of drug preparations, and package and distributions helps them assist pharmacists with these common activities. To complete the training, students must participate in a practical learning experience by working for a stipulated period in a hospital or community pharmacy. Program graduates are prepared to sit Virginia’s Board of Pharmacy exam as well as the PTCB or ExCPT exams for national certification. Pharmacy technician training costs depend on the what the program offers in terms of certification. Certificate and diploma programs run for 6 to 20 weeks, and the average cost of tuition is $8,500. Other programs facilitate as much as 36 weeks of instruction and cost $14,800 for tuition only. All programs have associated costs attached, which students must budget for: textbooks, course materials, registration, background screening, CPR, uniform, immunization and exam fees are just some of the extra costs of pharmacy tech training. Graduates of Virginia’s state-approved pharmacy technician programs may apply for the state’s pharmacy technician exam, managed by Schroeder Measurement Technologies. The exam contains 50 questions, which candidates must complete in one hour. There are multiple versions of the standardized test. The passing grade for the exam is 75 percent or over. Candidates should be knowledgeable of the following six domains to increase chances of success: The key domains include, drug storage and inventory management, alternate drug delivery systems, dispensing process, regulated sales and record keeping, drug identification and general pharmacy laws. 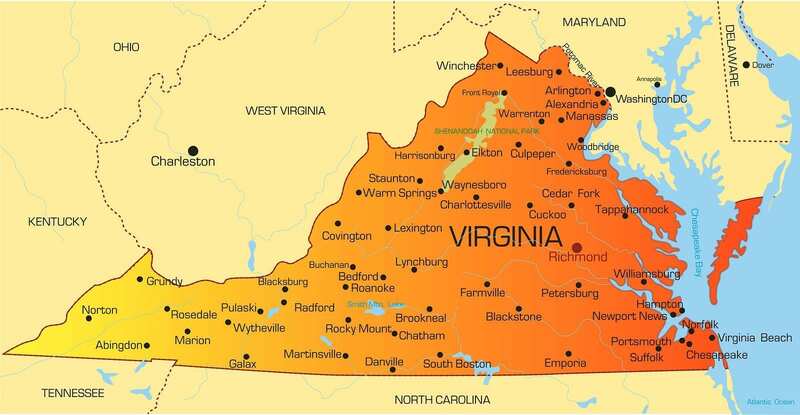 Testing centers for the state exam are available in Abingdon, Roanoke, Norfolk, Richmond, and in the Washington, DC area. The fee for testing is $75.50. If you prefer national certification (good if you plan to move to another state), you can apply for the ExCPT exam, accredited by the National Commission for Certifying Agencies, to earn the title of Certified Pharmacy Technician (CPhT). National certification increases your employment opportunities nationwide. The cost for the exam is $105. As an alternative to formal training and state certification, you can challenge the PTCB exam for national certification, which the Board of Pharmacy accepts for registration. The PTCB exam contains 90 multiple choice questions in the two-hour exam. You must score 650 out of 900 to pass the exam. The PTCB requires a high school diploma and criminal background check for Board certification. You must also meet the biennial continuing education requirements to maintain certification. Registration for the PTCB exam is $129. Currently, the Board of Pharmacy accepts online application for registration only. After filling out and submitting the application online, you must submit copies of your social security card, state ID to validate your citizenship or resident alien status, PTCB certification or certificate of completion from a state-approved program, and your results from the state certification exam. The Board will also need a report from your criminal background check and the $25 fee to process the application. Once approved, the Board will notify you of your successful registration within 7 to 10 business days. You must maintain your registration in order to continue working as a pharmacy technician. Registration is due annually, and the cost for the renewal is $25. Pharmacy techs must also complete a minimum of 5 hours of continuing pharmacy education annually. The hours must be from an ACPE approved program or certain Category 1 CME, or a program that the Board of Pharmacy approved. Credits earned outside of these requirements will not qualify for registration renewal. 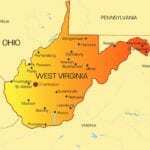 Virginia’s Board of Pharmacy does not approve transfers from other states through reciprocity or otherwise. Out-of-state technicians, certified by the PTCB, can apply for registration using their national certification. All other technicians must complete a state-approved training program and apply for registration as outlined above.